She was beautiful - a little old fashioned, but immaculately groomed with a good bone structure, and willing to undergo a total makeover. Rob Gray was in love. "She ticked all of my boxes," he said. 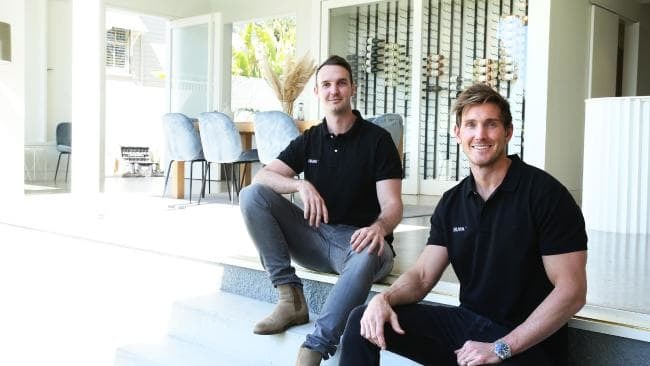 Mr Gray, who is one half of arguably Brisbane's hottest young building duo, knew this was going to be his best relationship yet. After a year of serious courting, Rhondda's transformation is, quite simply, breathtaking. 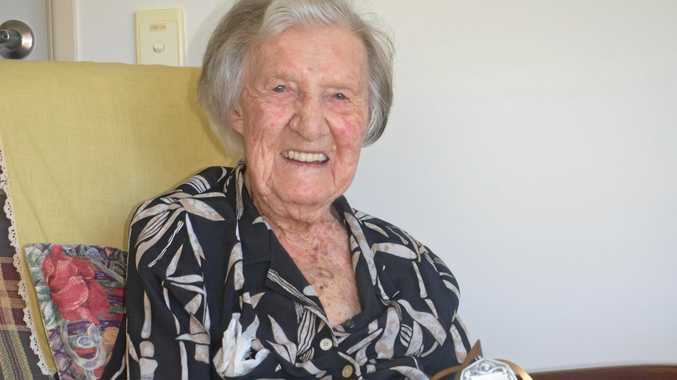 She started as a barely touched 1920s Queenslander in shades of yellow, green and maroon and has blossomed into a bigger, better version of the lady she always was. Under the guidance of Rob and his brother, Andrew, and the team behind Graya Construction, Rhondda has become the talk of the town - business at the front and party at the back. "It is party at the back, but in previous years, a lot of architects have gone with dark box extensions," Mr Gray said. "Yes, this is modern, but we still kept it white and light, which gives it that really clean look." The house at 29 Rockbourne Tce, Paddington, before the renovation. Rob and Andrew Gray picked up Rhondda at 29 Rockbourne Tce, Paddington in May, 2017. She'd only been on the market for about a month, but they immediately saw her potential. 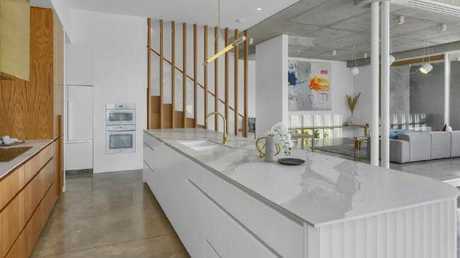 The property at 29 Rockbourne Tce, Paddington, after the renovation. Sitting on a 1147 sqm block in the heart of Paddington and oozing character and charm, the Gray brothers knew she was something special. "It was in really good condition," Rob Gray said. "The owners had kept it immaculate. "For that reason, we were able to keep those front windows and french doors because they were so well retained." 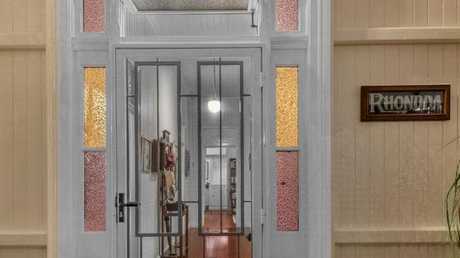 The entrance to the home at 29 Rockbourne Tce, Paddington, before the renovation. But he knew the maroon tiles had to go. "It was very, very old fashioned!" 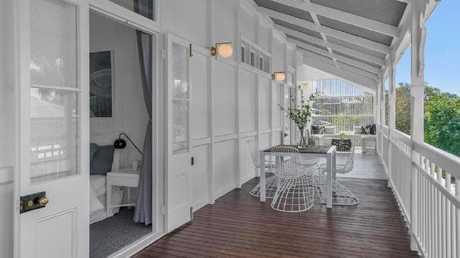 The front veranda of the property at 29 Rockbourne Tce, Paddington, after the renovation. The property was also attractive because the block itself was square. "With square blocks, you're able to have a bit more fun with the floor plan and make it more family friendly," Mr Gray said. "And who wouldn't want to live in that spot in Paddington." 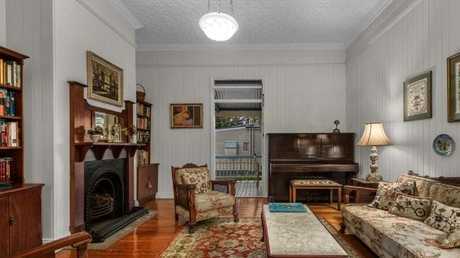 The living room in the home at 29 Rockbourne Tce, Paddington, before the renovation. The rebuild and renovation process was significant to say the least. First, Rhondda was entirely gutted underneath, while retaining the upper level of the majority of the house. 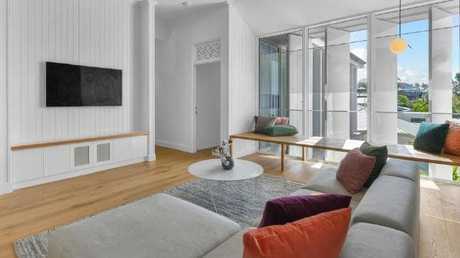 The living room in the home at 29 Rockbourne Tce, Paddington, after the renovation. She was then shifted sideways about eight metres, which was challenging for a house of that size. "The whole block was just under 1200 sqm, but the block (the house) was sitting on was 700 sqm," Mr Gray said.
" We saw value in evening up the block sizes, so we had to move the house across to achieve that and split the blocks evenly." 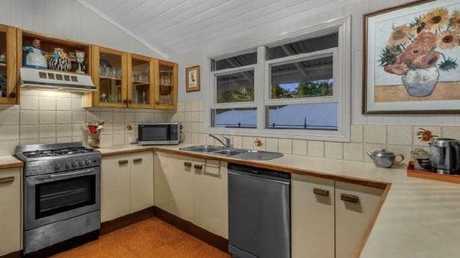 The kitchen in the home at 29 Rockbourne Tce, Paddington, before the renovation. 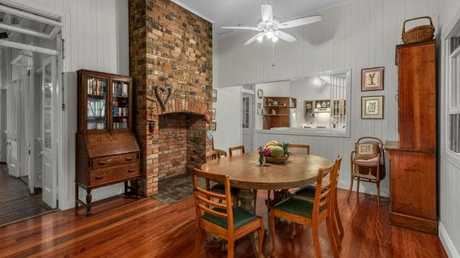 The kitchen and dining area in the home at 29 Rockbourne Tce, Paddington, before the renovation. They kept as much of the original house as possible and added a new extension at the back. 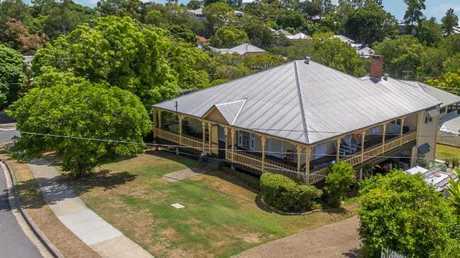 "I think the person who wants to buy the house will appreciate having that wraparound deck and the character of the existing house - it's part of the appeal," Mr Gray said. "We did move a few walls but made sure we left the VJ walls with the decorative mouldings. "We had to chop off the existing back extension, so we lost an old fireplace, which was devastating, but we had to do it for the move." The upper level of the new extension has become the master bedroom quarters - a spacious main bedroom with walk-in wardrobe and ensuite, looking down at the pool. 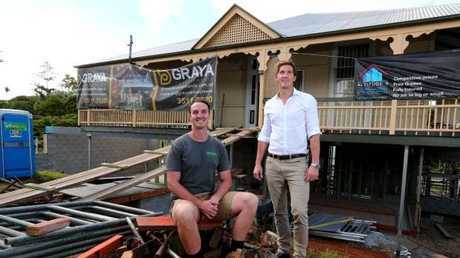 Brothers Rob (left) and Andrew Gray outside the home at 29 Rockbourne Tce, Paddington, when they started the renovation. Picture: AAP/David Clark. 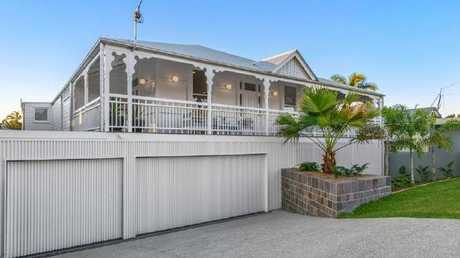 The front of the home at 29 Rockbourne Tce, Paddington, after the renovation. The downstairs section is predominantly the living area, plus a guest bedroom with an ensuite. Mr Gray said all the children's bedrooms were in the original house, which provided an element of privacy for parents' retreat/master bedroom in the new extension. The end result is a home that retains its old-world charm, but has been reinvented to accommodate all the comforts and conveniences of modern living. The back of the home at 29 Rockbourne Tce, Paddington, before the renovation. The finished product contains five bedrooms and four bathrooms, with features such as timber flooring, frameless sash windows and original woodwork blended with stone, marble and rendered brick. 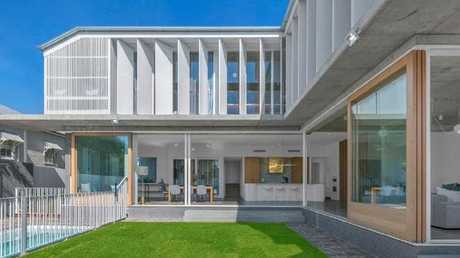 "I swear I say this every time I finish a house, but this is definitely my favourite project," Mr Gray said. But Mr Gray admitted the renovation cost more than they expected. "We definitely blew our budget!" he said. "We're normally pretty good, but not with this one." 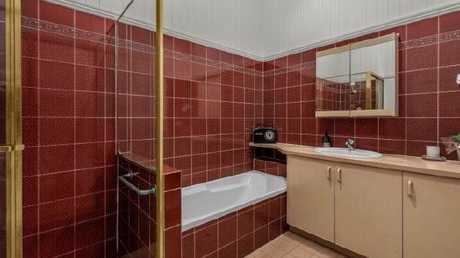 One of the bathrooms in the home at 29 Rockbourne Tce, Paddington, before the renovation. Mr Gray said the scale of the project and the calibre of the home had put a lot of pressure on him. "I think we had in our head that we wanted to fetch the biggest sale price we've fetched on a house before," he said. "In our head, this is the biggest and best one, so we have to get this right." At least he has the tick of approval from the property's previous owners, who now live next door and regularly popped over during the renovation process to see how it was progressing. "They absolutely love it - they're our biggest advocates." One of the bedrooms in the home at 29 Rockbourne Tce, Paddington, before the renovation. 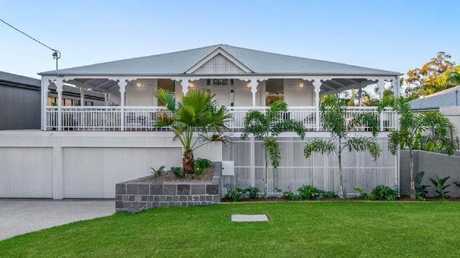 Mr Gray said he envisaged a young family buying the home. "I always pictured all the kids' bedrooms being upstairs and having access to that wraparound deck and seeing them running around playing," he said. The materials used in the build are also family-friendly. 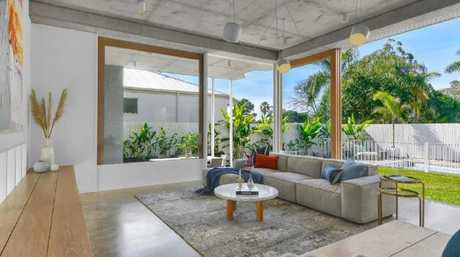 "The concrete floors downstairs - you can't really wreck them," Mr Gray said. 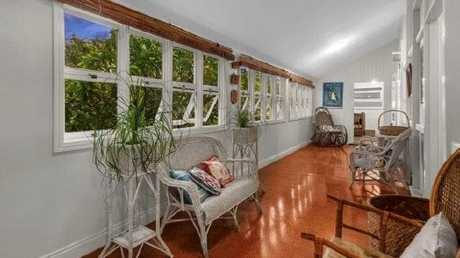 Inside the home at 29 Rockbourne Tce, Paddington, before the renovation. 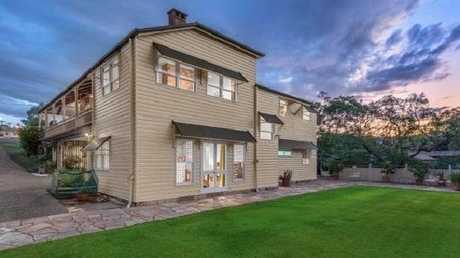 The property is being offered for sale via an expressions of interest campaign closing September 21 through Matt Lancashire and Josh Brown of Ray White - New Farm. 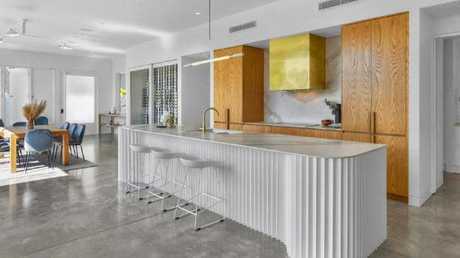 The kitchen in the home at 29 Rockbourne Tce, Paddington, after the renovation. The kitchen and dining area from a different angle. 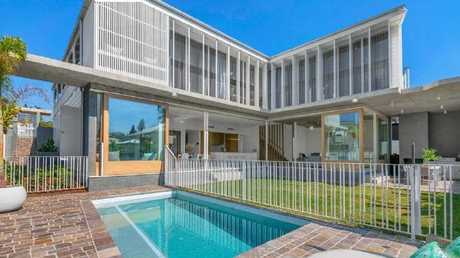 The back of the property at 29 Rockbourne Tce, Paddington, after the renovation. The downstairs living area opening out to the backyard. 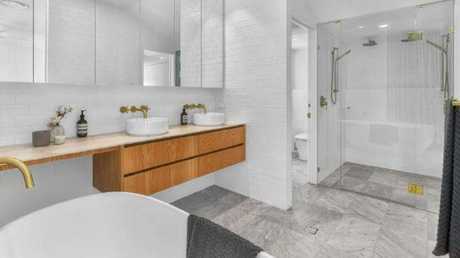 One of the bathrooms in the property at 29 Rockbourne Tce, Paddington, after the renovation. 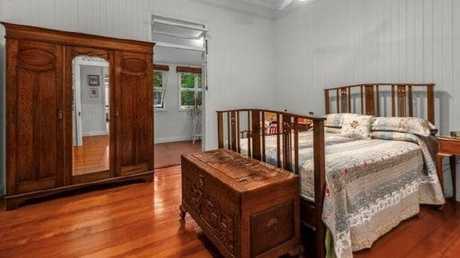 One of the bedrooms in the property at 29 Rockbourne Tce, Paddington, after the renovation. The outdoor area of the property at 29 Rockbourne Tce, Paddington, after the renovation.